In The Lord of the Rings, we are introduced to a group gathered together to represent the people of Middle-earth and to destroy the One Ring: the Fellowship of the Ring. Every LOTR fan has at least one favorite character within this group of nine, but one character in particular is often overlooked—Gimli, son of Gloin. 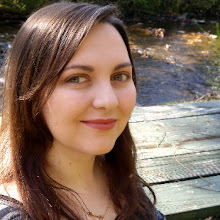 I’ve always had a fondness for Gimli, and though he may not be my number one favorite, I've never understood the underappreciation for the character. 1) He’s loyal to the quest and his companions. Gimli can be difficult to win over, but when it comes to the important stuff, he knows where he stands and will fight for what is right. Gimli has proven himself a loyal companion and faithful friend multiple times throughout the fight for Middle-earth. Once Gimli has named someone a friend, he will stick by their side no matter how dangerous the journey becomes. Gimli’s sense of humor ranges from good-natured rivalry to cynical sarcasm. Even in what could be his last moments, he finds a way to bring a bit of resolved humor to the situation. 3) He’s not afraid to speak his mind. 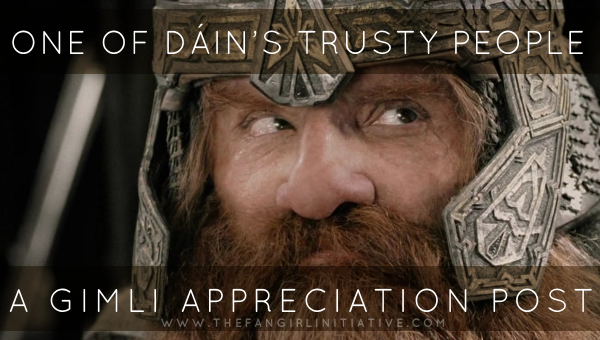 Whether it’s an insult or an observation, Gimli’s thoughts are rarely kept secret. – The Two Towers: Book I, Chapter 2 "The Riders of Rohan"
Of the Fellowship, he is one of the most outspoken—whether in defense of himself or a companion—and sometimes his candid nature places him in precarious situations. Most of the time, though, Gimli’s words are well-meaning. 4) He helps mend the rift between Elves and Dwarves. A major shift happens during the Fellowship’s stay in Lothlorien. After meeting Galadriel, Gimli’s opinion is soon changed. When gifts are given to the Fellowship, Galadriel asks Gimli what he wants instead of choosing a gift for him. Gimli’s humility and reverence for her surprise the Elves and cause their opinions of him to change for the better. In his friendship with Legolas, the barriers between Dwarves and Elves is also diminished. Because of the grudge between their people, there are disagreements and moments of rivalry between the two nearly from the beginning of the quest. By the time the Fellowship is separated, this mutual hatred has turned to respect and friendship. Any rivalry between the two is meant in the best of spirits and all in good fun. Because of his respect for Galadriel and his friendship with Legolas, Gimli is even given the name “Elf-friend” (Appendix A, “Durin’s Folk”). Gimli’s role in the Fellowship begins as a fairly simple one: Represent his people and protect the Ringbearer. By the time the Fellowship has broken, however, he has aided not only Frodo’s quest, but the search for Merry and Pippin, and the battles at Helm’s Deep and Pelennor Fields, helping to bring freedom and peace once again to Middle-earth. Are there any other Tolkien characters who need more love? Tell me about them in the comments!